IM Corona Double Corona Black Matte With Silver Wheel Lighter by IM Corona Double Corona at Blog Free Here. Hurry! Limited time offer. Offer valid only while supplies last. IM Corona Double Corona Black Matte Finish With Silver Wheel contain a patented dual flame nozzle delivers the widest flame of any cigar lighter. 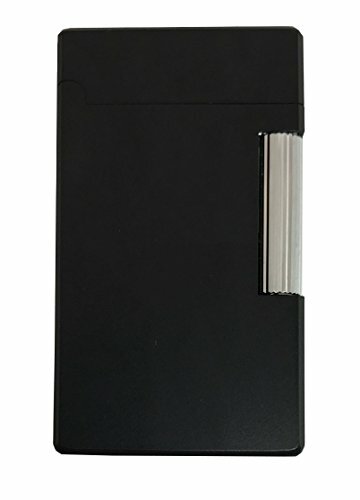 IM Corona Double Corona Black Matte Finish With Silver Wheel contain a patented dual flame nozzle delivers the widest flame of any cigar lighter. Made with Solid Brass casings, this series is machined to perfection and meticulously finished by expert IM Corona craftsmen. Each lighter is packaged in a gift box and is backed by a two year warranty. If you have any questions about this product by IM Corona Double Corona, contact us by completing and submitting the form below. If you are looking for a specif part number, please include it with your message.